November 2017 - Read. Think. Act. Brian Cannon details the many aspects of gerrymandering and how it has subverted the very idea of representative government. It’s mandated by law that voting districts be redrawn every 10 years based on U.S. Census data. This is to ensure that districts have similar numbers of voters within each one. Those include Congressional Districts, Senate Districts and House Districts. (It also applies at the county and city level as well.) The idea is that each district represents a roughly equal number of voters. The Virginia Constitution also stipulates that these districts must be “compact and contiguous.” The interpretation of “contiguous” might mean a single road, or a connection across water. And “compact” is not specifically defined at all. Over the centuries, and in the last several decades, legislators have taken a creative license – in both parties – to draw lines that protect incumbency. 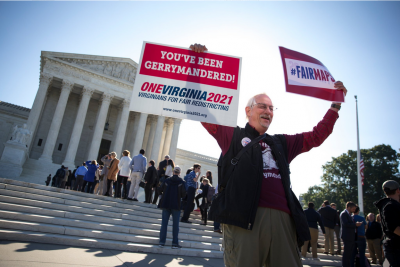 OneVirginia2021 is challenging this failure to meet the compactness test with a federal lawsuit that involves 11 Virginia Districts: 6 Senate districts and 5 House districts. The short term goal is to seek legal relief for these specific districts – and ultimately those districts that border them – for a possible total of 31 affected districts. The long term goal is to work toward the establishment of a non-partisan commission to redraw these lines every 10 years and NOT legislators. Asking the people directly affected by the outcome of redistricting to set aside their personal considerations in drawing these maps is like asking foxes to guard the hen house. In 2016, the U.S. Supreme Court decided a case that redrew the third and fourth Congressional Districts to “unpack” the African-American voters in the 3rd CD and put some of them in the 4th CD. That resulted in the election of A. Donald McEachin, an African-American Democrat, to Congress in 2016. Although the voters in Virginia were split nearly evenly in their votes in 2012 for Democrats and Republicans, the resulting Virginia Congressional Delegation was 8 Republicans and only 3 Democrats. THAT is gerrymandering. Representatives are selecting their voters – not voters selecting their representatives. Brian also points out that Virginia has 224 split precincts. There are two precincts in Newport News that are split 3 ways. This has led to a critical issue in the 2017 election in 28th House District where approximately 88 voters may were given the wrong ballots. The mix-up involves voters on two streets in Fredericksburg and may end up in court or with a special election to determine who will win the seat.. The political control of the House of Delegates may well hang in the balance. This particular crisis serves to highlight why we need to have a better system of redistricting PRIOR to the lines being redrawn in 2021. OneVirginia2021 is using the power of grassroots organizing as part of their effort to activate Virginia voters. They had more than 600 volunteers at the polls across Virginia for the June 2017 primaries asking voters to sign a petition demanding non-partisan redistricting by 2021. Those volunteers were at the polls again on Nov. 7, 2017, for the record voter turnout in the statewide elections asking voters to make their voices heard. For more information about the work of OneVirginia2021, visit them at www.OneVirginia2021.org, follow them on Twitter at @1VA2021 or connect on Facebook. 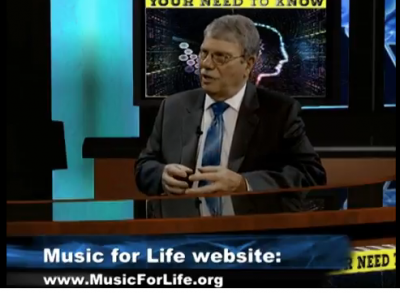 (Nov. 15, 2017) Catherine Read talks with Skip Chaples, President of Music for Life. This community based non-profit provides music education and mentoring programs for low-income youth primarily in middle and high school. Originally founded in 2006 by the parents of a music student who was tragically shot and killed, the name of the organization was changed in 2013 to Music for Life. It is a largely all volunteer organization, with the first full time employee hired in 2016. The Band & Orchestra program helps with fees for instruments and provides after school instrument instruction for a wide variety of instruments – trumpet, oboe, flute, clarinet, etc. Some of these volunteers are college music majors as well as volunteers from local bands and orchestras. Currently they have about 30 band students in 3 middle schools and one high school in Fairfax County. Overall, they serve over 800 students a year in all three programs. The STEM Guitar Project was launched for the first time at Mount Vernon High School in 2016-17. The curriculum was developed by faculty at Sinclair Community College in Dayton, Ohio, under a grant from the National Science Foundation. 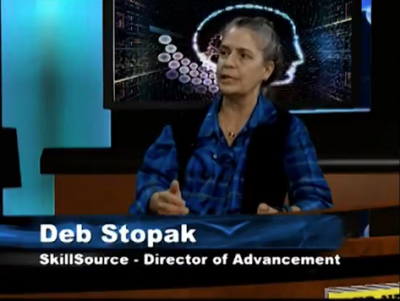 The program includes a one week training for teachers who conduct the class. The lessons incorporate the math and physics around the design and operation of an electric guitar. There is a lab where students actually construct their entire guitar – from woodworking to create the body and neck, to creating the frets, installing the electronics and doing their own soldering, painting and stringing. The inaugural class included 28 students of which 3 were women. It was empowering for them to see what they were capable of creating with their own two hands, and they each got to keep their guitar. Music for Life works local music festivals to find donors and volunteers. Their booth includes a raffle for a guitar, which is an effective way to connect with local musicians. They are a member of the Songwriters Association of Washington (SAW) and the Washington Area Music Association (WAMA) and are supported financially by local, national and international music companies. 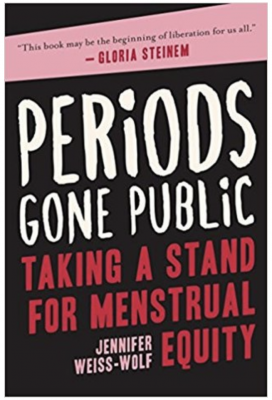 (Nov 1, 2017) Catherine Read talks with Erin Matson, co-founder of Reproaction, a national direct action organization focused on advancing issues of reproductive justice and increasing access to abortion services. Reproaction’s other co-founder, Pamela Merritt, is based in St. Louis, MO, and they have a network of activists across the country. The work in collaboration with many other abortion rights, reproductive justice, and women’s advocacy organizations. 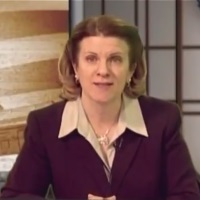 Erin established her credentials in feminist activism as the youngest state president of the National Organization of Women when she assumed leadership of Minnesota NOW at the age of 23. She moved with NOW to DC and one of the early issues she worked on was pharmacist refusal clauses. This is the right of pharmacists to refuse to fill a prescription if it is conflict with their personal beliefs. Today, in 2017, the Mid-Atlantic grocery store chain Harris Teeter has taken the emergency contraception Plan B One Step off the shelf and made it available ONLY through the pharmacy or through a store manager. THIS IS A CORPORATE POLICY. Any employee of the store can refuse to sell any customer this FDA approved medication. Harris Teeter has given no explanation as to why this is their policy. Reproaction is leading a direct against a Harris Teeter store on November 20, 2017, to raise the visibility of this issue to women in the DC metro area. Social justice includes addressing forceable sterilization, inadequate pre-natal and maternity care, and even issues like the Flint Michigan poisoned water supply. All of these issues disproportionately impact communities of color. 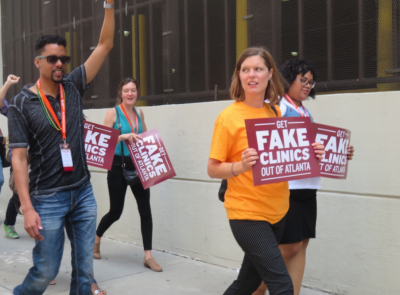 Erin and Pamela Merritt, along with SisterSong, led a direct action against a “fake clinic” in Atlanta as part of the Netroots Nation conference in August of 2017. Crisis Pregnancy Centers lure women into their fake clinics by offering abortion assistance when in fact they exist only to talk women out of having abortions. Many are funded with tax dollars that have been redirected from other programs – like food assistance. They perpetrate fraud and do not have to meet HIPAA requirements regarding privacy of information because they are not real medical clinics. The stigma around abortion has been engineered by anti-abortion forces that are deeply anti-woman. The “1 in 3” campaign highlights the fact that one in three women in the U.S. has chosen to have an abortion and yet many never discuss it – not with friends, family or colleagues. This keeps this choice stigmatized and feeds this culture of shaming women who have made a decision that is right for themselves and their families. More information can be found at www.Reproaction.org, follow them on Twitter @Reproaction, on Facebook, and subscribe to their YouTube Channel.